For the first time ever, the captivating Chinese Cultural Works Light Spectacular has come to Australia following successful tours throughout Europe and China. The amazing Dandenong Festival of Lights is currently represented in Melbourne and being held in the Dandenong Showgrounds in Greaves Reserve in Dandenong. It is now open to the public until Sunday 18th October from 6pm to 10pm daily. 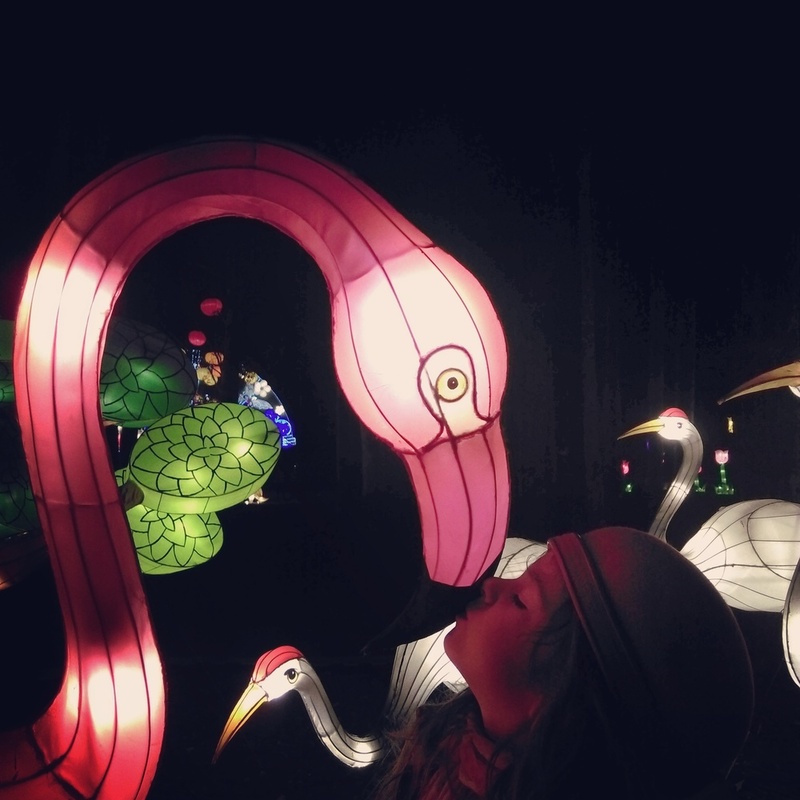 This is an incredible Chinese cultural experience for the whole family with 32 beautiful and unique silk lanterns and some light displays towering at an impressive 8m high and 20m wide. For tickets head to the festival's website. Little Miss and I were unable to attend the event however to ensure our readers still have the opportunity to see what's on offer, receive some tips about the festival as well as experience it for themselves, our friend Kel at little.different agreed to feature on the blog this week! We are very excited as we are huge fans of Kel's work who takes amazing photos around Melbourne with her little ones, so do check her blog and social media pages! The peacocks are a crowd favourite. Photo by little.different. 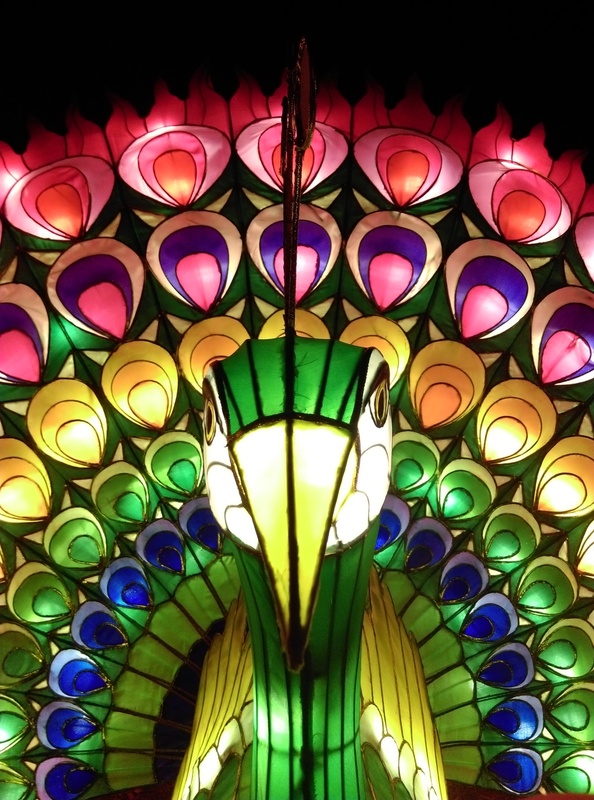 This is the first year we have attended the Dandenong Festival of Lights and we were amazed at the display! You enter through a huge lit archway and walk down a moon-lit path to a temple that is forever changing colour and that's just the beginning. The displays are incredibly diverse, from traditional dragons and lanterns to modern cartoon characters, flowers and zoo animals. Most displays are not roped off and people are welcomed to walk amongst them which is fantastic for kids. Some displays move, some make noise, some even squirt you when you're not looking. It's all very interactive and completely captivating. We attended with a six year old who sped around at the speed of light and a non walker in a pram. The paths are all accessible and would be fine for all prams and wheelchairs. The kids, and us big kids, had a brilliant time and spent much longer than we planned to! I would definitely recommend a visit. A huge temple crowns the Festival. Photo by little.different. 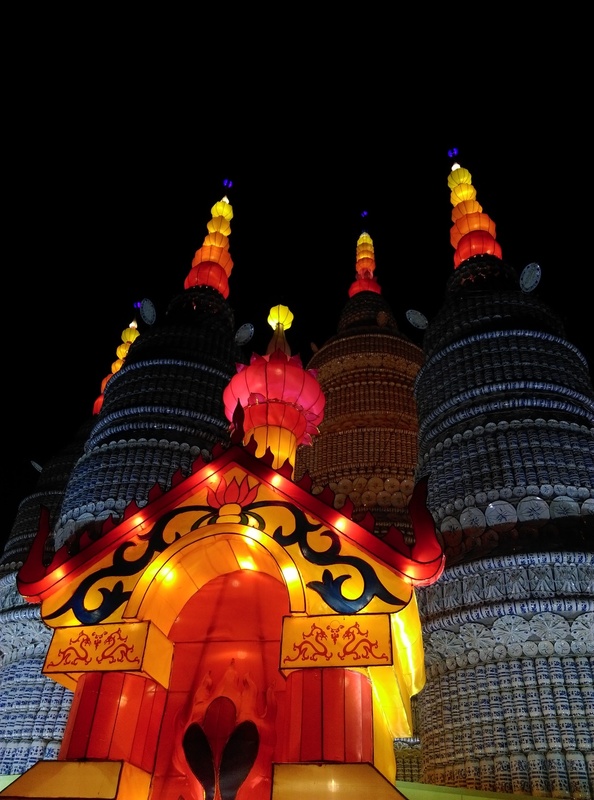 The temple is made of plates, cups and spoons and is constantly changing colour. Photo by little.different. The spectacular moon lined entrance. Photo by little.different. Most of the displays, including this fetching flamingo, are not roped off so you can get up close and personal. Photo by little.different. Probably the most photogenic display of the Festival is this arched walkway. Photo by little.different. It was hard to contain the excitement. This giant lantern provides the perfect setting for one of Mini's famous jump shots. Photo by little.different. 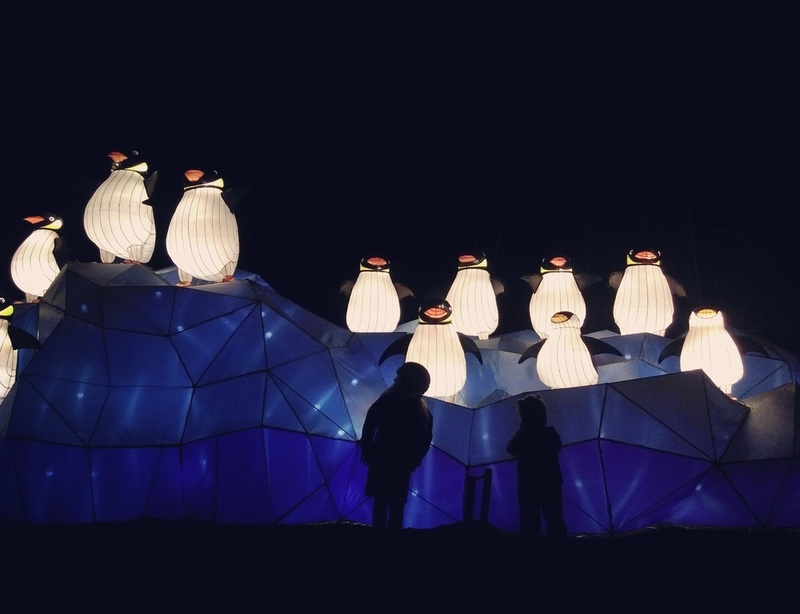 To celebrate this amazing light festival, we are giving away 1 family pass (2 adults, 2 children valued at $55) to 3 lucky Melbourne4Bubs subscribers! Tickets will be sent via mail to the successful winners. This giveaway starts today Friday 2nd of October and ends Monday 5th of October at 3PM AEST and is only available to VIC residents. Be quick so you don't miss out!